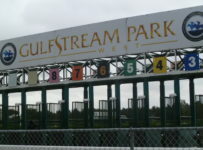 The Gulfstream Park West meet will have ten races today with first post of 12:35 p.m.
Gulfstream Park is holding the race meet at Calder Casino & Race Course in Miami Gardens, under a lease agreement with that track. There are no stakes races on today’s card. But there will be the attractions of large fields and three carryovers. There are 116 entrants, including Also Eligibles and Main Track Only. 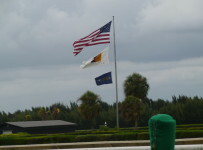 http://nsidefloridahorseracing.blogspot.com . Recent posts to our blog appear in the right-hand column of this page also. Later today and Monday, this Web site will have more news on the races and other developments at GP West. There is a 40 percent chance of rain this afternoon in the Miami-Fort Lauderdale area. But barring downpours, it is likely that the Gulfstream track superintendence team (which is in charge for GP West) will be able to keep all of the turf races on that surface. On Saturday there was rain almost the entire race day at Calder–mostly light but at some times heavy. All five turf races stayed on that surface, and conditions were fast and firm throughout the day. In fact, Saturday’s rain should help the turf course which has been dry and now has dirt visible over much of its inside. Today is the 31st day of the 40-day GP West meet. Our records show that only two races have been taken off turf during the meet, Both were on opening day Oct. 7. It should be noted that in several recent years there were late season dry spells and that the Calder turf course, then managed by Calder, was kicking up significantly more dirt than has been seen in recent days. Through most of the meet, speed has generally not been holding up on the turf course. For most of this week, GP West each day had several five-furlong turf races with several won by front-runners. On Saturday, all five turf races were 7 ½ furlongs or longer. In each race the winner was in fourth place or farther back after a half mile. Among those five races, only three horses that finished in the top three were third or better after a half mile. 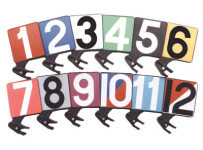 Four of today’s five turf races are 7 ½ furlongs or longer. The 50-cent minimum late pick 5 will have a carryover of $20,926.26 after no one had five winners Saturday. Four of five returned $178.85. There will also be a carryover in the first race of the rolling 50-cent Super Hi 5 of $4,674.71. Meanwhile, the 20-cent only Rainbow 6 continues to grow with a carryover going into Sunday’s card of $15,117.33.